The first step is to work out whether you can afford to lend money at all. Check your Money Dashboard to make sure you have the money in your accounts to spare. Remember that costs can come up unexpectedly and income is sometimes temporarily delayed, so ensure you have your own safety net before helping others. Lending money to your partner can get very messy. You might think your relationship is in a great place and that you trust them completely, but financial debts don't often bring people closer together. Is your partner good at personal finance management? If so, why do they need to borrow from you? If there are not, what will happen if they can't or won't pay? 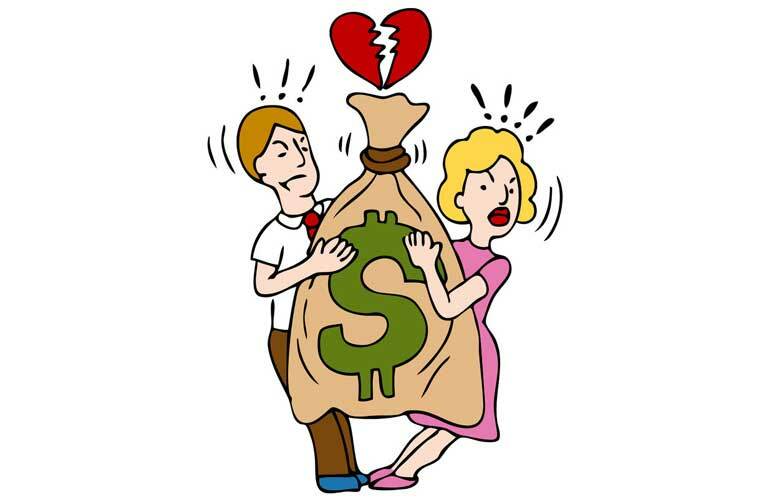 Financial difficulties will strain any relationship, but if money comes between you things could turn sour much faster. An otherwise healthy and supportive relationship could come to an end if the money isn't repaid and feelings are hurt. Traditionally, married couples share property and finances. If you are engaged to be married, or living as a married couple, then lending shouldn't be necessary, you can make the payment together. If you are not at that stage, then there is doubt in your mind about the future of your relationship. Remember that, and make the decision with your head, not your heart. A good way to deal with lending money to people close to you is to consider it a gift, and don't expect it back. You may call it a loan and agree on a plan for repayment, but don't lend the money unless you have already made peace with the fact that you may never see it again, because that is always a possibility and you don't want it to ruin your relationship. If you won't be getting the full amount back for a while, you should consider charging interest. It's likely your partner is coming to you so that they can avoid high interest rates from banks or other lenders, but if you had that money in your savings you could earn interest on it. Figure out what profit you would make from saving the money, and see if your partner is willing to match that rate. This may seem like an unnecessary step, but small claims courts regularly deal with couples who have lent money without a formal agreement, who later disagree on how much should be paid back, or whether it should be paid at all. If you are serious about lending your partner money and they are serious about borrowing it, then a loan agreement should be written up. It should include the amount borrowed, and when it will be paid back, whether that is monthly payments or the full amount after a stated period. The agreement could also include penalties for late payments, or provisions for extending the loan if necessary. A formal agreement is probably more important than the small amount you would make from charging interest, but if a rate of interest has been agreed, this should also be included in the agreement. It should then be signed by both parties and a witness.